Many people ignore and neglect their bodies until they lose their health. Luke 2:52 reads, "Jesus increased in wisdom, and stature, and in favor with God and man." If you were to take all the different aspects and details of your life and categorize them, I think everything would fall under one of six headings. They would be classified as either your physical life, your spiritual life, your family life, your financial life, your mental life, or your social life. Now notice that four of the six areas are mentioned in the above verse. It says that Jesus increased in wisdom, that would be his mental life; in stature, that would be the physical life; in favor with God, that would be the spiritual life; and in favor with man, that would be the social life. Verse 51 makes reference to his earthly parents, that would be the family life. So, five of the six areas are mentioned in these two verses. This leads me to believe that Jesus Christ lived a balanced life. In other words, he gave the proper attention to each of the six areas of life. His financial life or work is not mentioned in this passage. 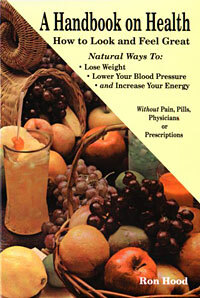 In this book, I want to deal primarily with the physical life, or your health. I believe you must feel good in order to do good. Listen carefully to this statement, "You must feel good, in order to do good." I want you to notice that these six areas of life are intertwined. If anything is out of balance, it affects all the other areas. I’m sure that you have noticed that when you buy a new set of tires, before they are actually mounted on the car, they are put on a machine that will balance them. They balance them so the tires will roll smoothly. Now, what happens if you do not balance the tires? Well, almost all new tires are out of balance because they are not perfect. If you do not balance them they will vibrate, damage the front end, wear unevenly, cause a bumpy ride, and wear out too soon. The same thing will happen in your life. If your life gets out of balance and you neglect one of these six areas, guess what? You are going to have a bumpy ride. You are going to wear unevenly, and wear out long before you should. So, remember, when you get out of balance, you are headed for big trouble. Your Health Affects All areas of Life. It is clear that we need to give the proper attention to all six areas. We especially need to give the proper attention to our physical life because you must feel good in order to do good. If your health fails, that spills over into all other areas of your life. If you get a disease, have an accident, or are laid up in the hospital, any of these will greatly affect your spiritual life. It also affects your family; they suffer too. Disease, accidents, or a long hospital stay can shut down your finances, and you can use a lifetime of savings in just a very short time. It can affect your mental life. People have nervous and mental breakdowns because of health problems. It interferes with your social life. In other words, if you neglect your health, it can have a very negative effect on all other areas of your life. So, we see that there is an overlapping and intertwining of these six areas. You must give attention to all six areas. You cannot be lazy and say, “Well I'm going to give attention to my spiritual life, but I'm not going to worry about my health and family.” Or, “I'm going to give attention to my finances and I'm going to get rich. I won’t worry about my health.” I know people that have gotten rich and have lost their health, their spiritual life, and their family in the process. They lost their health to gain their wealth and spent their wealth trying to regain their health. You must give the proper attention to all six areas of life.